History of The Langton Arms. 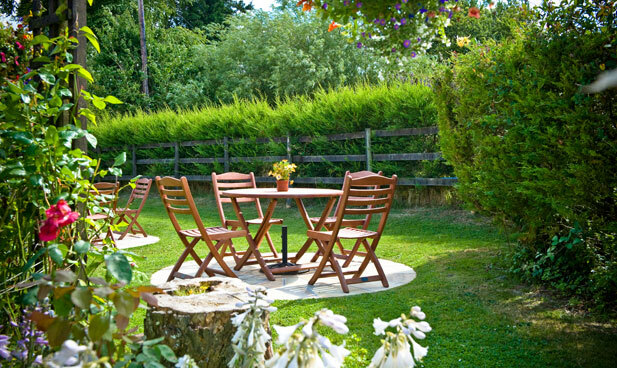 Country pub, restaurant, accommodation, wedding venue near Blandford, Dorset. The Langton Arms is a beautiful, multi award-winning 17th century thatched country pub with its own restaurant, function room & private gardens. Nestled in the heart of chocolate box Dorset countryside, it is situated in the pretty village of Tarrant Monkton with six en-suite bedrooms if you fancy staying over. The pub can be found at the heart of the village, far from the hustle and bustle of modern life. It sits opposite the beautiful All Saints Parish Church which dates back to the 15th century. 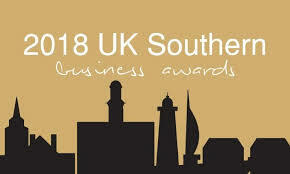 Voted Best Country Pub in Dorset 2018 by SME Business Awards, Best Food & Drink Business 2017 at the Taste of Dorset Awards & Best Pub in Dorset by The National Pub & Bar Awards 2016. 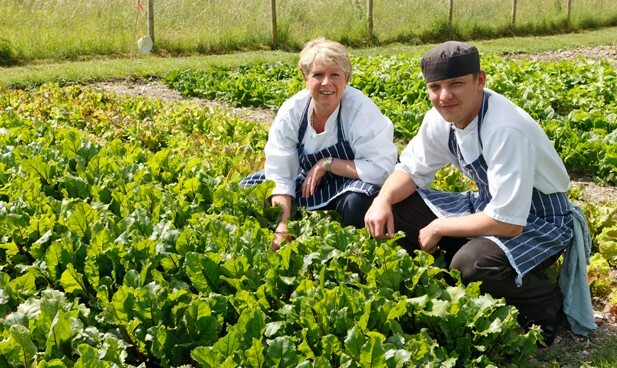 The Langton Arms was also winner of the prestigious Best Overall Food Business Taste of Dorset Award 2015. The owner and landlady Barbara Cossins was awarded Businesswoman of the Year for Dorset 2016. Here she talks about the pub and what makes it such a special place. The pub has been owned and run by Barbara for more than 25 years. The Cossins family have been farming in the Tarrant Valley for five generations and have their own Rawstar Herd and raise traditional cattle breeds of Aberdeen Angus and Herefords. This wonderful local meat supplies the pub menu and is also available from the family-run butchery & shop in Tarrant Rawston, offering traditional cuts of meat, poultry, seasonal game and sausages. In 2004 a fire ravaged the main thatched building bringing 14 fire engines to put it out and almost completely destroying the whole pub. Barbara and her team worked day and night to rebuild the damaged parts of the building as well as the business itself and opened for its first wedding only a week later. Today, The Langton Arms is stronger than ever and opens its doors seven days a week to water, feed and entertain both locals and vistors from far afield. Tarrant Monkton is a "chocolate box" village in the heart of the Dorset countryside. Drive down the lanes, through the old ford and past the thatched cottages to the heart of the village where you will find the church and The Langton Arms Pub. Relax and unwind in our beautiful outside spaces. 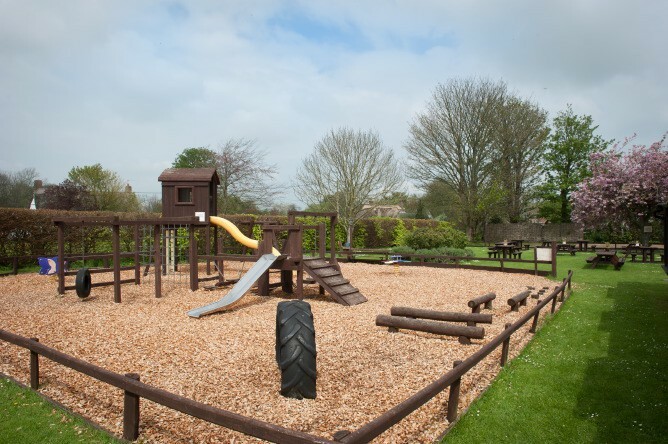 We've a peaceful courtyard, children's paly area and a big sunny beer garden that looks out onto green fields. 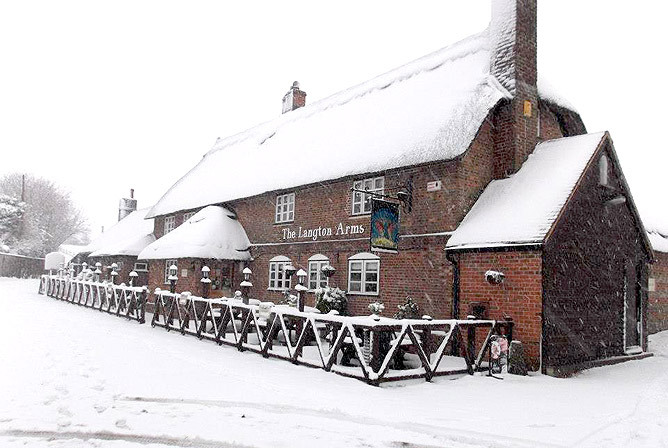 The Langton Arms is an award-winning thatched country pub situated in Tarrant Monkton near Blandford Forum, Dorset and has something to offer everyone.